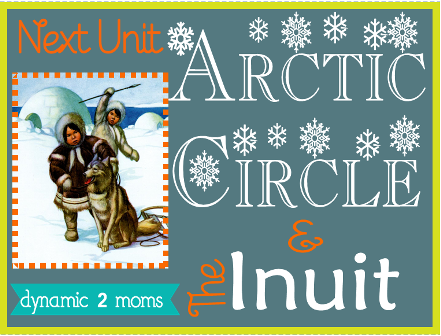 I was trying to put off this unit study on the Arctic Circle and the Inuit until we at least got our annual 2 days of winter here in Texas. We wanted to get in a winter sort of mood but like I mentioned last week it has been so spring like here, it has been hard to do that. But anyway, we are going forward because we are really excited about starting this unit study. Well at least Tiny and I are but not so sure about my older boys though. They are killing me I am telling you by staying on their topic of choice, the FBI. When I start a unit study, I like to start off listing or picturing a lot of my resources. That way if you decide to trail along you can. Here are some of the books and magazines I have in my home library that I will be using. Some I have had for a while, others I collected prior to starting because I had an idea of what we wanted to study for this year. Recently, I added in the collection of Julie of the Wolves. I didn't have the collection but Kelley mentioned it and I bought it because unlike my older two boys Tiny has an interest in reading it. One book that is pictured above and is a keepsake is The Book of Indians by Holling C. Holling written in the 1930's. Beautifully written with rich language as is the style of all of his books, this book explains the different types of Native Americans: northeast woods, plains, desert and northwest coastal. Though he still uses the word Indian instead of Native American, the stories and sketches are still just worth poring over. So without even hitting the library which I don't like to have to do all the time, I have enough resources in my home to start this unit. Am I the only that doesn't like having to go the library every time? True, it may get expensive but I look at my reference books like my curricula instead of always choosing laid out curricula. Then the next step in starting my unit is to locate resources that are not just free but that are some better choices. This unit is rich with geography and animal and plant life. But there are other topics too that can be included for the older kids. Like this lesson plan above that is for grades 5-8. 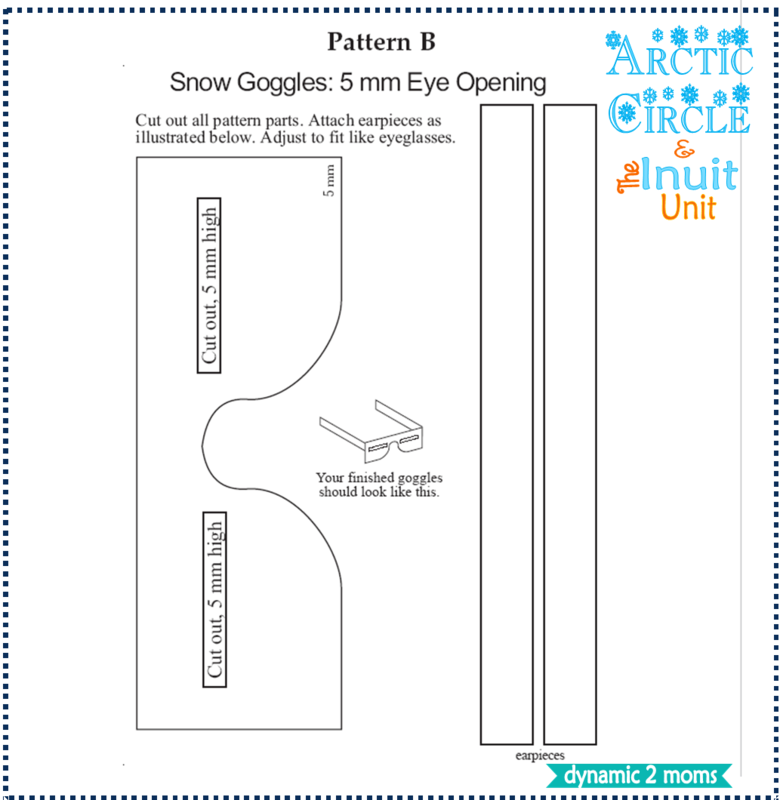 It has a template for snow goggles and talks about limiting sunlight. Click here to download the free 29 page guide. 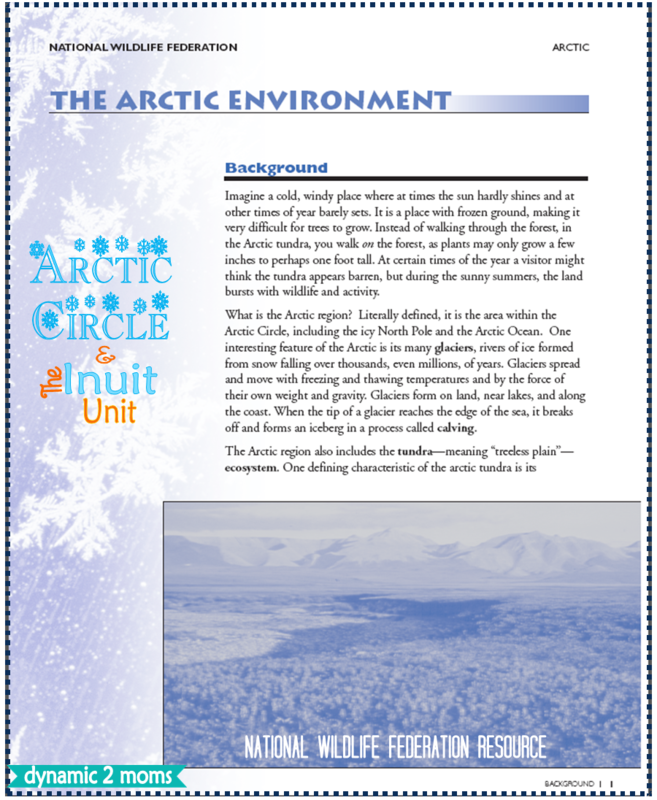 This next download which includes the two pictures above gives the background of the Arctic region along with case studies on the caribou and the Arctic Tern. Click here to download the 15 pdf. This next guide or I should say guides talk about the Arctic animals listed above. There are two guides or grade levels on this teacher's guide from Seaworld. These guides are real informative along with having picture cards of the various animals to cut out. 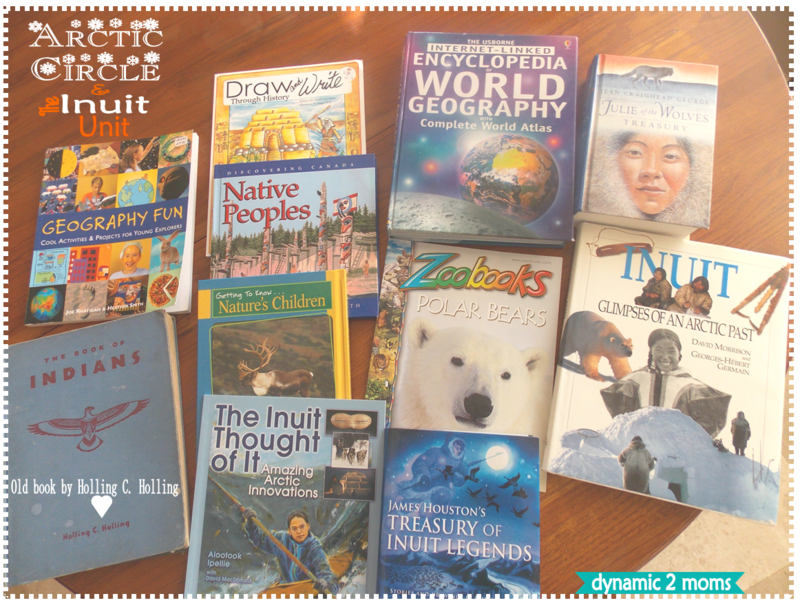 Having these guides makes learning this unit easy because a lot of the work is already done. 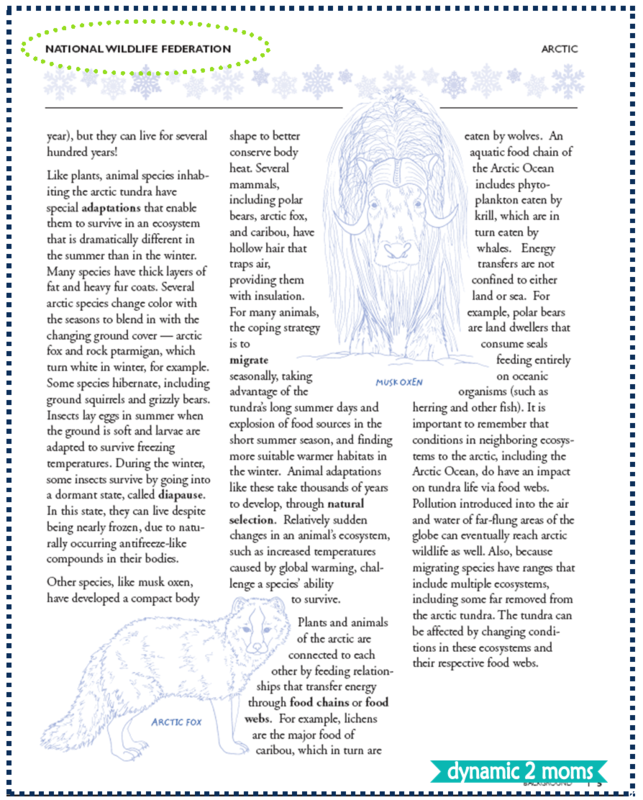 Click here to download Arctic Animals 4th-8th and here to download Arctic Animals K - 3. I also see some vocabulary words emerging here. 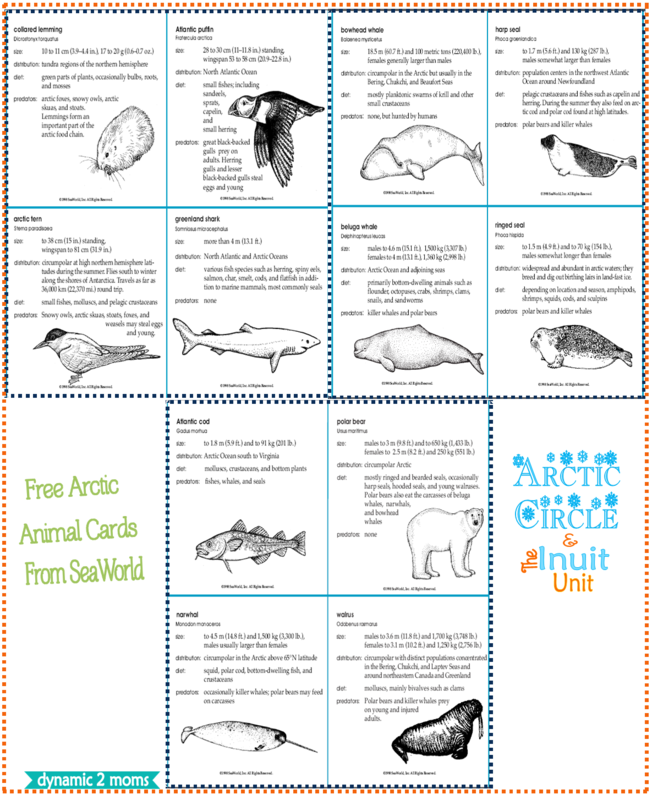 Look at both of these teacher's guides on the Arctic Animals because they include vocabulary for each level. 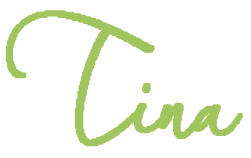 Each person's list will look different depending on what you think your children need to focus on. Here are some of mine I am brainstorming for my youngest. 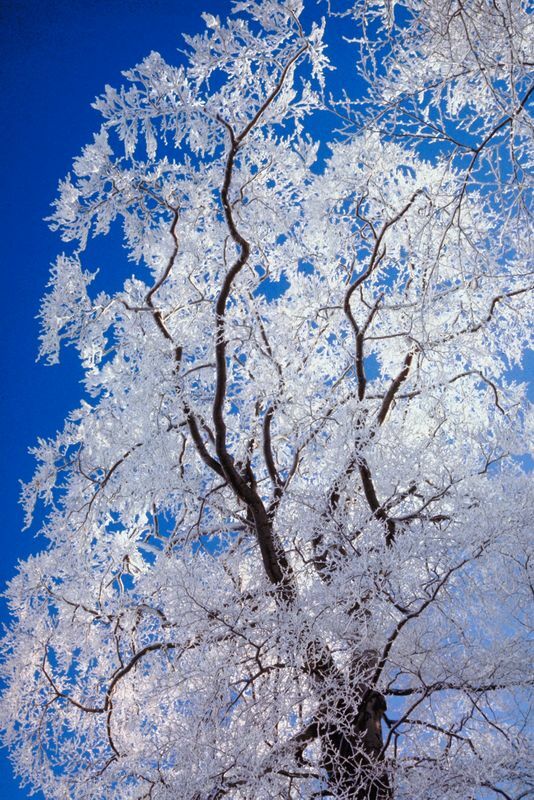 Arctic Region. (You know a lot of kids, mine too when they were young and we were going over continents, got this mixed up thinking it was a continent instead of a region encompassing several countries). Also, we will focus on: tundra, Inuit, kayak, permafrost, lichen, diapause, scrimshaw and blubber. I think too this unit just screams a lapbook, don't you think? Yep, lapbook coming this month too on this newest unit. I have lots more links and hands-on ideas to share with you as we plod along on this unit. Next post, I will share our first hands-on project for this new unit. "I like these cold, gray winter days. Days like these let you savor a bad mood."